I've a penchant for metals this week, didja notice? Don't you find penchant to be a funny-sounding word for what it means? It means the same as desire, but somehow desire holds much more promise. And then there is predilection, which also means the same thing, but somehow sounds like a felony. I can see it now on page three of the Tribune: Mr. Samuel P. Henbinevert was charged yesterday with three counts of predilection. A raiment will be held on Friday the 27th. While fun to make, this OLC was, by far, the hardest card I've ever photographed. Platinum and pastels are persnickity! This photo was the best of the 38 I took, but it doesn't do justice to the real life shiny appearance. 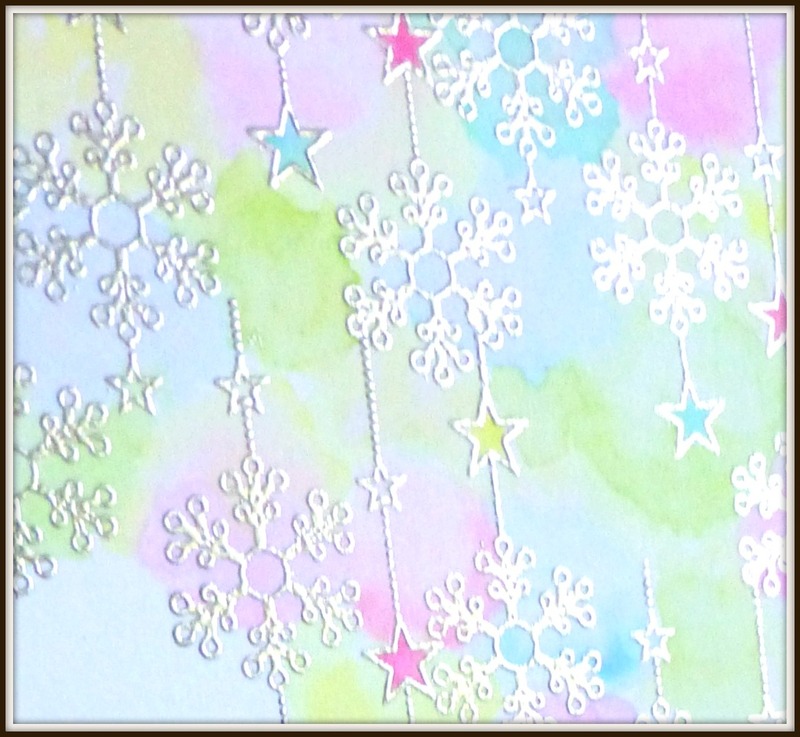 The snowflakes are from Papertrey Ink's "Friendship Jar Fillers," embossed with liquid platinum from Ranger. The embossed sediment is also from PTI, but I don't have the name of the set. I picked up on the pastel watercolors. Instead of words, I used an overlay of snowflakes. This is an all-day event if you'd like to be quick like silver (keeping with my theme) and join in today! I'm also entering the Simon Says Stamp Wednesday Challenge, which is anything goes and the "Clean and Simple" category at The Card Concept Sweet Tea (photo) challenge, which is lovely pastels and metallics. And because I finally made a Christmas card, I'm also joining the Rudolph Days Challenge over at Scrappy Mo's. If you're helping me keep track, I'm minus 73 where I wanted to be in the finished Christmas card department for this year. It occurs to Hammy and me that perhaps we were a bit hasty in adopting out all our furry helpers. Smack! I'm hoping this doesn't jinx something, but I have to tell you that upgrading to 10 was a breeze. The Mister said it was the easiest upgrade he's ever done. Like ten minutes easy. It went out and found drivers for all our schtuff and everything works, even our six-year-old printer! The photo process did change, but I quickly saw how to tell it where to file my downloads and from there I did edits like normal using Picasa. I'm guessing they got a lot of bugs out of the earlier versions which had people tearing their hair out. I wanted to share that good news ~ she says, ginfers crossed! Once again, I'm delighted to introduce you to five new friends! Emily Shroom of Pen and Paperie. Emily is from Australia and she has been blogging since 2012. Emily is a Tim enthusiast and does amazing art with his techniques and with digi stamps. She has a long and impressive list of challenges she enters and awards she has won. You'll find lovely inspiration throughout her blog! Swapna Patel of The Dream Pages. Swapna is from India and she became active on her blog in 2015. Swapna has a huge range of artistic talent when it comes to paper crafting. You will notice that she, too, loves to enter challenges where she has been recognized many times. You will be inspired by everything Swapna makes, from stunning sponged one-layered cards to incredible 3D projects! Shell of My Time. Shell is from New Zealand and she has been blogging since 2007! How had we not met before now? Shell has embraced my NBUS idea wholeheartedly, which I love. I also love how happy and colorful (and beautifully watercolored) her card art is and the way she shows you her process along the way! Frau Nicole Vögeli of Frau Vögeli (Mrs. Birdie). Nicole has been blogging since June of 2015, so she'll soon be celebrating her first blog birthaversary! Congratulations, Nicole! You may already be familiar with Nicole, either on design teams, or as a guest designer, or as an award winner. If not, you are in for a treat as you discover her wonderfully crisp and clean card art! Carol H. of Crafting By Carol. 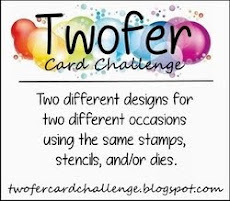 Carol started blogging in 2015 as a way to have a photo journal of her card art and to enter challenges. The mother of two daughters, Carol started out making Christmas cards ten years ago with a light box, brass stencils, and a stylus. Remember those days! That was a lot of work! 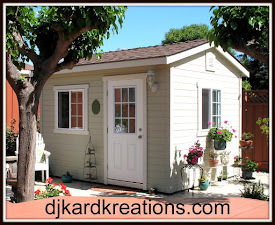 About five years ago, Carol started checking out card blogs and joining in online classes. Her cards are really sensational and show the extensive talent Carol has honed over the years! A beautiful card - I love the shimmer on your snowflakes. My fingers are still crossed that Windows 10 will be okay - I haven't found any glitches yet - it did seem to upgrade a little too smoothly! Hi Darnell, I love the card. I'd never think of using pastel colours on a Christmas card, but it is fab. I upgraded to Windows 10 a few months ago now. I don't mind it, but since upgrading I have had various niggly problems with the PC. Also my WiFi plays up at times, which it didn't with Windows 8. Well its a super photo as you can really pick up the sheen on this festive beauty. You could also have a leaning ....... makes you imagine folk strolling along tilted to one side lol! What a gorgeous card - love the shimmer and shine you have going there Darnell, and against the pastels the platinum is stunning. I have not got Windows 10 going yet - waiting on son in law to do it for me :-) I'm wimping out :-). well...we're in the same boat when it comes to Christmas cards. Yikes! But this is an absolutely beauty...ABSOLUTE BEAUTY! I love, love, love it Darnell. Thanks for the lovely welcome, time doesn't always allow commenting but I do have a chuckle at your posts, now I've discovered them and you. Glad you're feeling better and Windows 10 is playing nice! Gorgeous Christmas card, you may be in the minuses against your planned number of them but you're definitely in positive territory compared to mine for the year! really gorgeous Darnell - love those colors with the shimmer snowflakes! Oh...My...Word!! This is stunning!! Absolutely gorgeous!! As for photographing ... I've been tearing my hair out with a DT card ... Made the same card 3 times and still it won't photograph decently ... Given up going to make something else! I really love your snowflake card! Seriously, I would've never thought to do pastels and snowflakes! Your card is so pretty and the photo turned out nice too! Thank you for the sweet intro! I look forward to checking out the other bloggers and learning from them too as I feel in "high company". (Is that a Texas expression or do y'all know it too?). LOL! Glad your Windows install went ok. The hubs only allows Macs in this house. Haha! Lovely card The pastel colors are so pretty with the platinum.I'm glad your Windows 10 went so well. I had so much trouble, I scrapped it and went back to 8. Gorgeous! LOVING the snowflakes and the stars!!!!!!!!!!!!!! Awwww.... This card is a delight!! So sweet and elegant! Great choice of embossing powder with these soft ice-cream colours!! Amazing CAS!! 38 photos!! Haha! That sounds like me!! Your card is absolutely stunning! I love the platinum and pretty pastels! So fun to see you turn a rather summertime inspiration photo into a gorgeous winter wonderland! Love it to pieces!! Having a 'penchant' for this card! So beautiful! What made you think of Friendship Jar Fillers!!! Gorgeous in platinum. so Casing this one. Did I mention, amazing bg? Kinda 'bokeh'? LOVE!!! Your card is a dreamy, winter delight Darnell! I love that you've completely changed up the season so flawlessly!! Didn't I tell you about Windows 10 being easy, mate? So pleased it's working really well for you. What a gorgeous watercolor BG to these snowflakes! This is a genius take on the inspiration photo! Oh Darnell I think your photo is just fine this is absolutely gorgeous! I love non-traditional colors for holiday cards. Such a stunning and creative Christmas card. Love this! Oh, this is gorgeous! I love your wonderful take on the inspiration photo! What a fabulous contemporary Christmas card Darnell. I love the pastel shimmer and it was worth the time spent on the photos. Glad your windows 10 update went well. Mine - not so much. For some reason Chrome doesn't like to play with Mr 10 and has caused no end of headaches. Superb card, Darnell! I can see your sparkly ep, but I also love that soft-colored backdrop! Darnell, this is one of your prettiest cards evah!! The background is stunning and your sentiment balances the design well! We've had our desktop on Windows 10 for a few months and I like it. Of course, my computer is a MacBook so I'm not on the PC that often. Darnell this card is beyond stunning! Jaw dropping beautiful!!! I have to agree with Vikki that this is one of your best cards. your card is fantastic as usual. Love your really great and fab design. The info about window 10 sounds good. Beautiful Christmas card - and I love the use of platinum - great way to mimic the inspiration photo! What a beautiful card! Love the silver shimmer. Your photography was excellent. Windows 10 has yet to be downloaded on my computer, & I'm glad. Yours is the first positive I've heard about it. Hope you're doing well! Wow...dreamy, ethereal and all those other words that mean pretty. Has the perfect icy quality to it. LOVE the painterly background. This is such an outstanding Christmas card. You should be patting yourself on the back...not smacking yourself. Total beauty!!!! Yummy looking too with those soft colors. A gorgeous card Darnell! Beautiful card, Darnell. As for Windows 10, I agree it's quite easy. My "upgrade" was forced on me due to my 6 year old Windows7 laptop crashing. I'd put off the upgrade of that machine due to all the horror stories I'd heard, but when it crashed I had no choice. Thankfully I was able to recover precious files and pix from it. And despite my fears, I'm loving the new machine. what a beautiful creative design for the challenge Sis! love the silver embossed snow over the colorful background! Absoultly stunning Colors for a Christmas card, love this, Darnell! Stunning card! I love those beautiful snowflakes. Seriously quite a beautiful card, my lovely. Glad to hear I'm not the only one who takes LOTS of photo's some days! Love the watery pastel shades behind your silvery snowflakes! This is a perfect Christmas card to enjoy on a very warm day! We switched to Windows 10 a while back and it was the easiest adjustment Windows has had. Fingers crossed they keep it up! I love using silvery embossing powder but don't often combine it with pastels. However, after seeing this confection, I'll have to remember to try it. The pastels give such a brightness to your design and looks absolutely magical! I share your pain about the difficulty of photographing shininess so that you get the full effect. Glitter and I have that love/hate photography relationship..,.mostly on the hate side. Beautiful Darnell! Love the platinum with the soft pastels. Thanks for reminding me of that snowflake stamp, Darnell. I haven't used it but you can be sure I will, now that I've seen your beautiful design. What a fun card for the hop, just gorgeous! It's beautiful with the platinum against those soft colors. Your posts always crack me up, and your creations are fabulous. The platinum with the pastels is a match made in heaven, Darnell. This is an awesome Christmas card! So beautiful - love those pastel colours and the way you did them! Ummmmm, can you say GOR-GEEEEE-US-NESS?! ;) Thanks for always being such an encourager, Darnell. You card is truly lovely and I CAN'T WAIT to meet the lovely lady behind the creation and give her a big 'ol hug! :) 60-something days?! So stunning, Darnell! You love how you ran with the frosty inspiration! Wow, Darnell, this is absolutely gorgeous. Love the embossed snowflakes and the colors you used. Beautiful.. love the pastels with the Christmas theme.. and the sparkle.. great touch. Totally gorgeous creation, love the subtle colours and the lovely snowflakes. Been away, so wasn't ignoring you. Well that is just THE most beautiful 'a raiment' I have ever seen! The platinum snowflakes are just gorgeous! Love the background too, love it all! Your photography looks great to me. OH MY, Darnell, this is simply beautiful! Fabulous design! Beautifully done! I love it! Oh wow--I think your mind was several steps above mine for this card, Darnell! Stunning, classy, modern--my FAVORITE! LOVE this card. Liquid platinum is my favourite colour for heat embossing. It looks amazing on your card. And I love the bokeh? of pastels. Gorgeous Dolly!! LOVE your background and the metallic embossing! This is so pretty! Fabulous card Darnell! You did a darned good job photographing it. I see the pastels and the shimmer of metallic's. Stunning card, Darnell!! Love how you used that little stamp from the Friendship Jar collection!! Gorgeous, Darnell! Pure JOY! Wonderful Christmas card design! WOW! Your pastel background is absolutely stunning with the platinum snowflakes! You rocked this inspiration picture! Yes...this is my new favorite card from you Darnell, what a LOOKER!!! How funny Darnell - we really did have exactly the same idea! And I like yours so much better lol. What a great idea to emboss the snowflakes...why didn't I think of that?! 38 photos!! WOW!! I love this card you made - simply stunning! Darnell, Your card is breath-takingly stunning!! Very beautiful. Absolutely fabulous card Darnell!! Your silvery snowflakes look great against the pastel background. What an amazing twist on holiday. Such a stunner! I really enjoy your mix of metallics and pastels. Wow, wow, wow!! Gorgeous is the first word that comes to mind! Oh my! This card is absolutely so pretty! Just love those platinum snowflakes on that pastel background! The photo really captures the shine. I Love it! This is really beautiful! Love the watercolor softness with that pretty metallic embossing! Your post cracked me up!! Thank you for your persistence to capture the beauty! !😜 Glad Windows 10 worked out for you!! It's always fun to receive a Christmas card made with non-traditional colors. This one's a beauty! You still surprise me! This time it is the unusual combination of pastels and platinum that looks so good on your card, but I never would have thought to use them together! Great card! Hope you have a fun week! This is such a beautiful contemporary Christmas card, I really love the mix of colours and the Ranger Platinum embossing powder is probably my favourite powder, it works perfectly with these colours. Gorgeous Darnell! Total gorgeousness! Beautiful stamping with layers. How great is that!!! Loverly!!! Secondly, Windows 10 sucked big time when I upgraded. Talk about needing a time machine or a large window - I couldn't decide which one I needed most. Hahaha! Glad yours worked well. MMMwah! Beautiful layering! Love that platinum embossing! This is gorgeous Darnell! 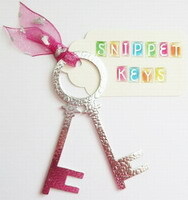 I love the pastels with the platinum embossing powder! And snowflakes! I thought about snowflakes for the blog hop too but ended up going in a different direction. Love this! I hope that Windows 10 will stay okay, mine are doing fine so far. Wow Darnell, what a beautiful card. I love the pastel colours with the embossed snowflakes. Darnell - this is a beautiful card. I love your pastel background with gorgeous shimmery snowflakes - I;m very glad you called this an overlay because i have to do a DT card soon where the theme is overlay and I wasn't absolutely certain what that was - you have inspired me! Just lovely! Very unique and captures winter so well. I love the word "penchant" and try to use it as often as possible! Beautifully done - love how it sparkles. A most beautiful card! Love your take on the inspiration. Wow! Darnell, this is gorgeous! I love the pastel colors, the embossing, the colors--everything is just gorgeous! Thanks for playing along with us over at The Card Concept! Beautiful, beautiful card Darnell! I upgraded to 10 a while ago and had to change photo editing software as it didn't like my very old programme I used. So far though it seems OK otherwise but I still prefer 7. Oh Darnell! this card is one of my favorites you have ever made! LOVE the pastel with the silver As they say in the Midwest "Holy buckets"!! You did an outstanding job photographing it! I had the same struggles capturing mine on "film"?? oh my but you did it and wowser! 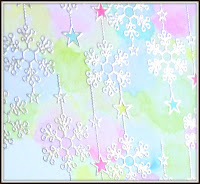 I love the snowflakes stamps you've used for this and the wonderful pastel shades too. What a lovely, festive, and non traditional card! This is lovely, Darnell. Way to pull out the oldies but goodies and use them in a totally different way. Those snowflakes were one of my very first PTI purchases, and still an old favorite. I believe the sentiment is one of the Think Big Favorites, but I don't remember which one. wow wow wow! What a stunner!!! I LOVE the embossed snowflakes! Love your beautiful card Darnell...your snowflakes are fabulous! Thanks for the news on Windows 10 updates, that is good to know. I just love your considerations on wording, please don't change :). Your card looks gorgeous despite the difficulty in photographing, love the design and pastel colors, but what I love the most is how you interpreted the ice cream inspiration piece, very clever! Thank you for the feedback about Windows 10, and great to know that you are happy with the upgrading. Ohhhh...I love the arty look of this lovely card. The inky background is fab and looks perfect with these snowflakes! Oh my word this is such a beeeeautiful card Darnell! I love the colours underneath the snowflakeys! Absolutely brilliant. Am just orf to email you about your visit to the UK. Woo hoo! oh I LOVE it - what unusual colours to use, but they work so well - great inspiration. Thanks for visiting my blog. Love your card. It's gorgeous! Am your newest follower. ...my first comment seems to have disappeared so sorry if this is a duplicate! Plus some of your photos don't show up. Windows 10? Or my slow poke computer ??? THIS IS STUNNING!!! GORGEOUS!!! AWESOME!!! INCREDIBLE! TOTALLY BEAUTIFUL!!! Oh, my goodness, this is beautiful! Love the fresh colors for a Christmas card. You are a fabulous and prolific stamper! Absolutely gorgeous card! I know, it is so hard to photograph certain cards, such a pain, but I am glad you got a photo that worked because I like it! So annoying when a gorgeous card will not cooperate with the camera! Sometimes, no matter how beautiful something is, it;s just not meant to be a model! And I totally agree with you about "predilection"! Ha ha! This is so beautiful Darnell. I love the soft colors. And thanks for making me laugh from the first of your post. I can always count on you to make me smile. Wow! This is gorgeous, Darnell! Love it! Wow Darnell - what a pretty pastel Christmas card, I totally love it! Clever you. Gosh it took me forever to scroll down and read all the lovely comments here (I'm nosy like that). Very pretty! Love the snowfakes with the pastels and metallics :-) Thanks for playing along with us at The Card Concept! This would have to be up there with one of my favorite cards ever of yours, Darnell - and there are a few on my list! Gorgeous, gorgeous card! I love bubble background which created the beautiful snowflakes. This card reminds me of Christmas morning. Peace and joy ... beautiful inspiration. One layer of elegance, just gorgeous. Ten - arghhhhhhh! I tried it several months ago and thought the top of my head was going to explode. Thank goodness I got rid of it quickly. I am too old to play with something new. It did not work for me and I was in a panic and my mister is a MAC snob and knows nothing. My computer kid, in your area, just said "well undo it." Dah. But I am happy for you. So pretty! The pastel and shimmer are a great combination.....I simply LOVE this card! This card is so pretty!! I LOVE your take on the challenge. The snowflakes are fabulous and the way you did the background is STUNNING!! Totally fabulous design!! So beautiful with pastels and platinum Darnell! A stunning card ! love the colours and those gorgeous snowflakes, truly splendiferous ! this is gorgeous!!! 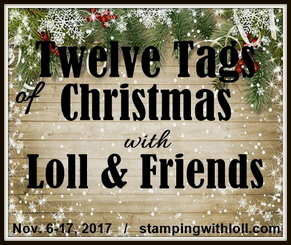 i just love snowflakes and i love the non traditional colors you used :) thank you for playing along with us at simon says stamp wednesday challenge! You've did it again:-)... what a absolutely sensational card... stunning colours and sparkle,I do love the pastels you've used its so beautiful and makes the card fresh and lively .Thank you for sharing your wonderful talent you are inspirational . P.S 38 photos, I thought I was bad taking 9 or 10 sometimes...what can I say ... awesome ! My gosh, such a pretty card. 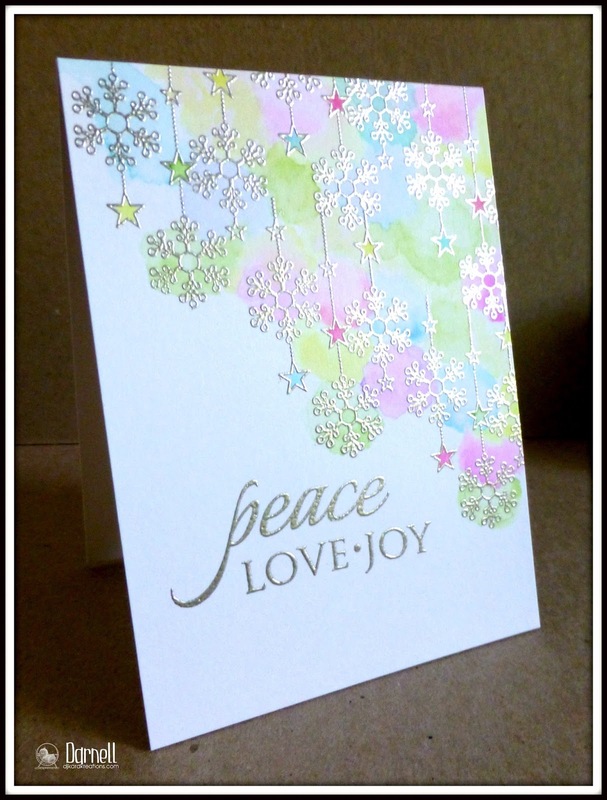 I love the soft background colours and the gorgeous embossed hanging snowflakes. wow what a stunning card! I love the effect of the embossing.